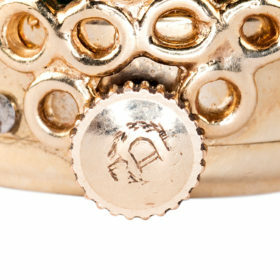 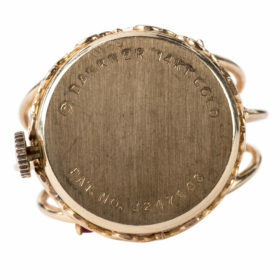 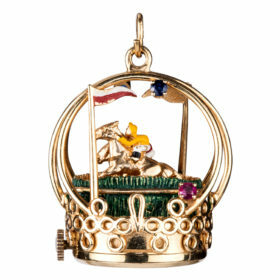 This rare living charm by Henry Dankner & Sons is exquisite. 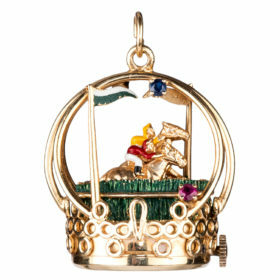 This animated charm winds at the side and features two galloping racehorses, racing for the finish line. The charm is elegantly crafted of 14K yellow gold, decorated with richly colored enamel and accented with sapphires and rubies.